Between doorstep “Boo Bags” in October, Christmas cookie swaps in December, and Easter Egg hunts in April, it seems that every month from late fall to early spring has at least one opportunity for a holiday-themed event. But after the last plastic egg has been packed away for next year, HOA members are faced with a looming 4-month stretch with no holiday event opportunities in sight. However, there’s no need to worry. 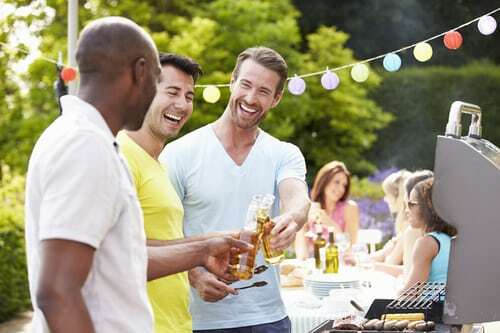 What with the warm air, abundant flora, and pleasant weather, spring and summer offer dozens of fun, entertaining community events to choose from. Here are some of the best spring and summer community events for your HOA to celebrate this season. Chili is cheap and delicious, and almost everyone has the means and ability to make it. Ask your contestants to arrive at the event with their best batch in hand, and divide each entry into small tasting cups. Invite guests to journey from table to table in a quest for their favorite. At the end of the night, have everyone cast a ballot; then, award prizes to the lucky winners. This friendly competition can also be held with soups, BBQ, burgers, or any other type of tasty eats you can think of. Many people make a clean sweep of their homes in the spring, when they’re shaking out the winter dust. Before your community members donate their unwanted items to the local Goodwill, invite them to participate in a yard sale. You can either go the traditional route, by having members sell their own items, or you can use this as an opportunity to raise money by asking guests to donate their items to the HOA. In the case of the latter option, most people will be happy to save themselves a trip by simply placing their unwanted items on their doorstep. After you’ve compiled your wares, invite community members to shop around. Tip: Show people exactly where the money is going with a big picture of your goal–such as a new pool, updated fixture, or garden. If your community has a lot of children, this is a great opportunity to showcase their burgeoning talents. Set up a small stage in a community common area and play fun music as the kids strut their stuff. Of course, there’s no reason your show can’t include adults as well, and you may be surprised by the hidden talents held by some of your community members! Have your audience vote on their favorites and hand out prizes at the end of the night. Bravo! Planting a garden is a great way to bring your community together to enjoy some fresh air while creating a space that will be enjoyed for years to come. You can plant a simple flower garden, a community vegetable garden, or an area designed to attract butterflies and hummingbirds. In light of the recent honey bee extinctions, you may also want to consider planting a bee-friendly garden. Since honey bees pollinate over 90% of the world’s plants, it’s a great idea to help this important animal make a recovery. Of course, as many people dislike bees, be sure to hear feedback from all members of your community before creating a habitat that will attract them. For more tips about planning your garden, click here. Food is one of the most important aspects of a culture, so a community potluck is a great way to learn about various cultures from around the world. Have each guest bring a dish or snack rarely seen within the U.S., and invite your guests to come try new things and enjoy new flavors. If your event will include children, you may want to incorporate some culture-themed games and activities that will keep them entertained. Even taking into account all the great ideas listed above, most adults are happiest when they can simply relax with some good drinks and good company. A bonfire is a great, simple event which will allow adults to talk and unwind while children play and gather fireflies. A smores bar and/or hot dog bar can add a fun, affordable element to the event. Check out our blog to find ideas on outdoor decorating. If you need any help planning, scheduling, and advertising your events, you can rely on Slatter HOA Management to handle all your community needs. From our office to yours, have a great spring and summer!